By any measure, the solar power industry is experiencing significant growth. In fact, the industry turned a very critical corner without much notice: a recent study found that solar-generated power is profitable without financial support in at least 30 countries. As a result, the global capacity for solar-generated power has reached an all-time high of over 300GW. Manufacturers and installers are rushing to bring solar power systems to market that are competitively positioned to take full advantage of the growing demand. I recently authored a white paper that looked at some of the key trends in the solar industry regarding material and labor costs; standardization; and solar electronics technology, including storage and digital control innovations. Decreasing prices for silicon materials in photovoltaic (PV) panels. Improved conversion efficiencies in the panels. Improved efficiency of AC generation techniques and equipment. In addition, utility provider incentives and simplified installation techniques are reducing upfront costs, further shortening the time for the equipment to pay for itself. Advanced digital control technology combined with advancements made in power electronics using wide bandgap power devices (GaN and SiC), along with their gate driver solutions to increase system efficiency and density. Intelligence in the smart grid helps balance the variable solar supply with the demand for power. Technologies like TI’s C2000™ microcontrollers (MCUs) and the solar tools that support them are giving PV panel designers and solar system developers a new baseline of capabilities from which they can more effectively lead the solar industry into the future. The phenomenal growth of the solar power industry is attributable to a wide range of societal, technical and economic forces. And yet, the momentum that is undeniably present now will only accelerate as the market continues to apply further innovations. 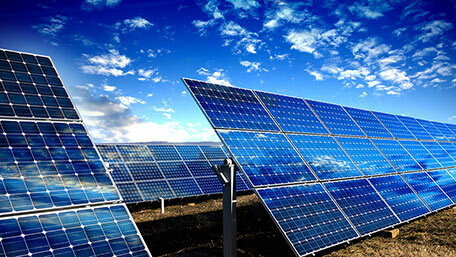 Learn more about TI’s solar energy conversion and smart grid infrastructure solutions.